The open-plan living area in Juniper has a well-equipped kitchen with table and chairs to one side, and a comfy seating area to the other. Between the two, a central staircase rises to the first floor. Upstairs there are two large bedrooms with exposed oak beams. One is a double and another can be made up as either a double or twin as required. A particular feature of Juniper is that both bedrooms have their own en-suite shower-room, with large shower, WC and washbasin, making it especially suitable for 2 couples. The kitchen is fully equipped with everything you would expect, including, dishwasher, microwave, cooker with oven, fridge/freezer. The lounge has a wood-burning stove as well as UK & French satellite TV, DVD player, radio/CD player, Bluetooth compatible speaker unit and a selection of board games & books. To the front, Juniper has its own private fenced area with a covered patio and brick-built barbeque. Like all of our gîtes, Juniper is nicely decorated and well equipped to ensure you have a comfortable stay. For entertainment, there is French & UK satellite TV, a radio, DVD & CD players, a Bluetooth speaker, free Wi-Fi and a selection of books and games. Having spent many holidays in France staying in other people's gîtes, we decided to take the plunge, leave behind our jobs in England and move lock, stock and barrel to France. We looked at lots of properties before deciding that this was the one, and we haven't looked back. We are located in the most southerly tip of the Charente Maritime, a lovely part of France renowned for being the second sunniest in the country. We are perfectly placed for day trips to the coast, visiting the fascinating city of Bordeaux, touring the famous vineyards of Cognac, or just grabbing a picnic and one of our bikes to explore the area on two wheels. If you would rather just unwind with a good book, our pool and garden overlooking the rolling countryside is the perfect place. We live on site, and are on hand if you need us, but out of the way if you don’t. Our aim is to give you the very best from our own experience of gîte holidays, taking on the good things we found, but leaving behind the bad. We look forward to welcoming friends old and new and sharing this idyllic spot. All kitchen utensils and crockery supplied, along with tea towels, and other kitchen paraphernalia such as washing up liquid and dishwasher tablets. Words cannot express how, after a very long hot drive from Spain, we felt upon arriving at Gites@Chatenet. The setting was perfect, the accommodation more than comfortable and the welcome very warm. Ruth offered us refreshments as we unpacked and explored the facilities, she was always on hand with information but never intrusive, a more perfect stay could not have been possible. The laundry facilities were very welcome, the pool and games room kept our daughters entertained throughout our stay and the views and the quiet are still so fresh in my mind. I just wish that we'd had longer than two nights to be able to explore more and enjoy all the facilities. We anticipate returning at the very earliest opportunity. I highly recommend Gites@chatenet as a holiday destination. Thank you Ruth and Neil for a memorable stay. Thank you for your kind comments. We’re so glad that you enjoyed your stay and it was a pleasure having you and your family here. We would love to see you all at Gîtes@Chatenet again one day, and hopefully for a longer visit next time! Superb. Couldn't rate it highly enough. We have visited France numerous times over the last 10 years and always stay at a gite complex. This is the first time that we could honestly say that we would go back again to the same place next year. 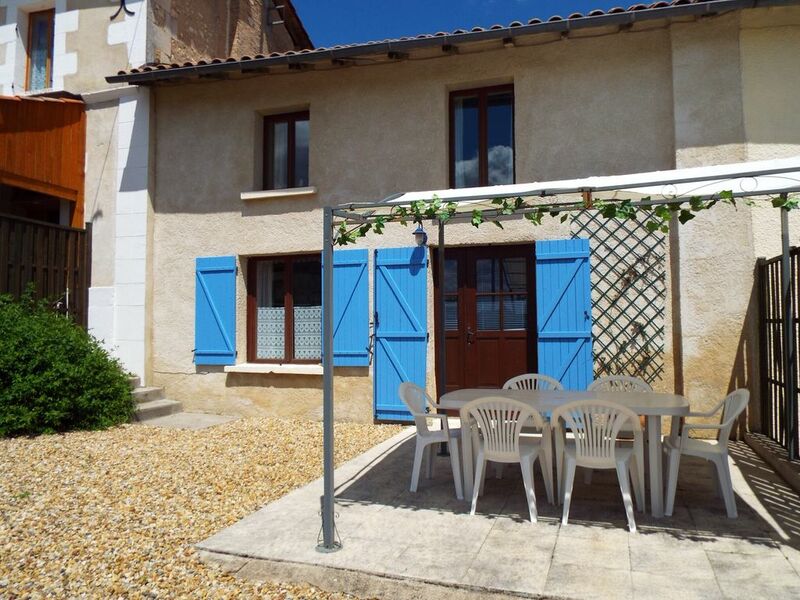 We found our gite to be exceptionally clean with every convenience required for a comfortable holiday. We had driven down from Roscoff and as our ferry was 2 hours late, we only arrived at 7pm. Ruth and Neil were on hand to greet us and show us around. There was a lovely welcome hamper waiting for us and while we were unpacking, Ruth brought a tray with tea, fresh homemade lemonade and cake which was a blessing at that hour of the day. We thoroughly enjoyed our stay and found the whole experience very relaxing. Our two boys 15 & 19 enjoyed the use of the games room and the salt water pool. We would highly recommend a stay at Gites@Chatenet for anyone who likes this type of holiday. Thank you for your kind review. We are so pleased that you enjoyed your stay with us. We try to make the gîtes as we would like to find them ourselves, so it's good to know that we are in the right place. We hope you will return one day! It is fair to say that these are not your average gites. The gites, grounds and swimming pool are exceptionally well laid out, beautifully maintained, spotlessly clean and superbly equipped. Ruth and Neil are so welcoming and friendly and are fantastic hosts, they provide everything that you would expect in a gite and more. We particularly appreciated the pool towels and the welcome basket, which can only be described as amazing. There are plenty of wonderful places to visit in the area and Ruth gives lovely recommendations and can provide lots of information. Don't feel pressured to be busy though, relaxing days can be spent by the pool or in the games room and gardens. This was our fourth year at Gites @ Chatenet and we have already booked for next year. It is one of our favourite places in the world. We are a family with two kids (8 and 11) and we cannot recommend it enough. Thank you for your lovely comments. With this being our first season, one of our biggest challenges was living up to the expectations of customers like yourselves, who return year after year. We're especially pleased therefore that you've booked to come back next year. Just returned from a fantastic 11 day break at the Gites @ Chatenet! Absolutely fabulous place to stay! We found it very relaxing and our 3 kids had lots to do (13,13 & 11). As well as a clean swimming pool there was a games room with table tennis, darts, table football etc. The view from the spacious garden was simply idyllic! The owners, Ruth and Neil were very friendly, helpful and accommodating - nothing was a problem! Upon arrival we were greeted with a delightful food hamper and a very welcome cup of tea and slice of cake. This allowed us to begin our holiday immediately as we had basic food items provided for the kitchen. The Gites are bright, clean, spacious and well equipped. The whole complex is child friendly and allows the holidaymaker to be as busy or as relaxed as they chose. Nearby Montendre is a lovely local town with super markets and shops with everything you will need during your stay. We hired a car via Europcar at Bordeaux airport, which is advisable in this area if you want to explore, so was money well spent. We enjoyed trips to the beach at Royan and St George de Didogne; we sampled local French cuisine at the nearby Tuesday night market in Montendre, which was one of the highlights of our holiday. We visited the water complex at Jonzac and pottered around the pretty town of Blaye on the estuary where's there are some lovely coffee shops to sample! Well done to Ruth and Neil, who having recently taken over, have worked really hard to update and modernise the Gites. This is our second visit to Gites @ Chatenet and it was an easy decision to return. We would highly recommend these Gites to anyone seeking to get away from it all and enjoy the tranquility of the beautiful French countryside. We will not forget those beautiful vineyards and sunflower fields! We were very fortunate as far as the weather was concerned our coolest day was 22 degrees but most days were warm with cloudless skies and temperatures were regularly in the 34-38 degrees. Thank you very much for your kind words; it was a pleasure to meet you all. We try to provide the things for our guests that we would like to to find when we go holiday, so it's reassuring to know that you enjoyed your stay so much. We would be delighted to welcome back one day.